A Surface Pro 4 Keyboard is one of the best ways to ensure a long life of your 12-inch tablet from Microsoft. The screen of the tablet is sensitive in nature and gets scratched because of the keys and sharp objects. Hence, it is very important to purchase a perfect keyboard with soft keys and a keyboard cover that keeps your trade-in value high by shielding the tablet from whatever else is in your bag. The best Surface Pro 4 keyboards are not only good for typing but they even protect the screen when we are not using the device and they protect the back shell when the device is in use. These keyboards also possess built in features like batteries and bluetooth connectivity so as to control the device from across the room. Here are some of the best Surface Pro 4 Keyboards. 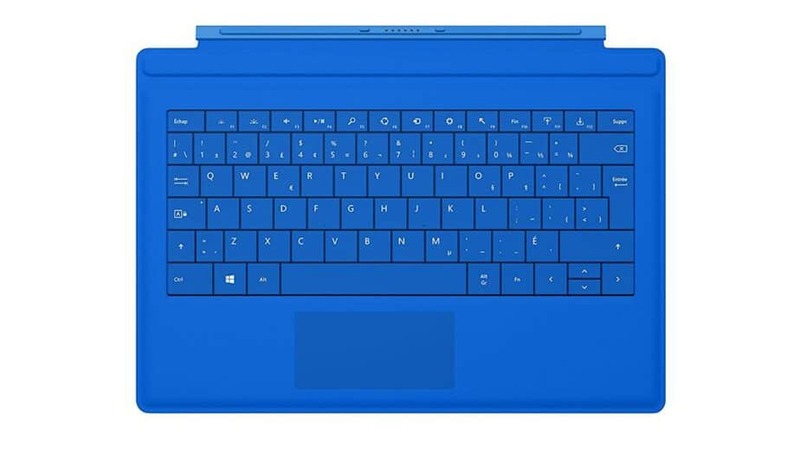 This keyboard is designed for Surface Pro 3, Surface Pro 4 and all the latest versions. The keys are slightly spread out which provides a seamless typing experience and gives the feel of working on a traditional laptop. Composed of special seven color backlit LED lights, the keyboard becomes ideal for typing or working even in low light conditions. Equipped with wireless technology, the keyboard works within a range of up to 33 feet. 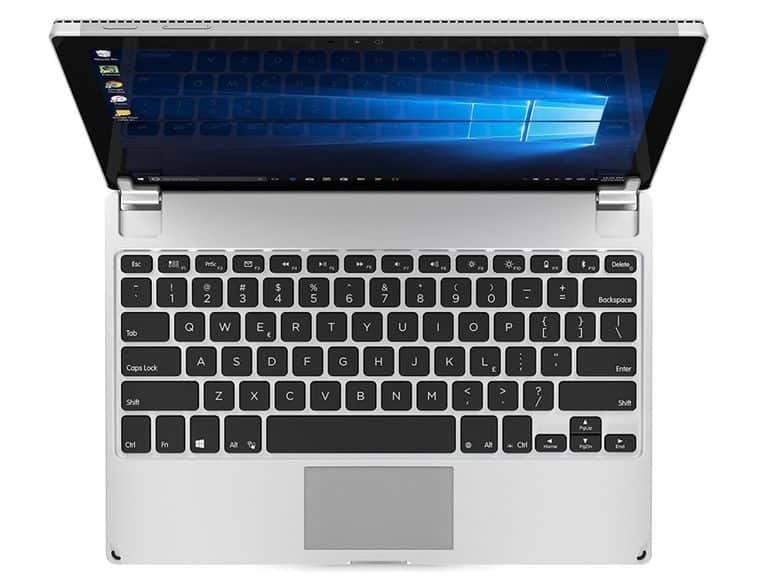 This is one of the most exclusive keyboards for all the latest Pro versions including 2017 Newest Microsoft Surface Pro 4. It gives a seamless touch screen experience tot he users as it has the built-in two button track pad. The only pre requisite is that it has to be kept on some flat or even surface. It is ultra thin and light with an in built wireless technology making it perfect for use. Easily affordable, this keyboard has a built in touchpad where the split keys and scissor switches makes our typing highly comfortable and gives the feel of a laptop. The seven backlight options with two gears adjustable brightness help us to work well even in the low light conditions. If the backlight is OFF, the keyboard can be used continuously for 125 hours which is itself a big thing. This keyboard is a little more expensive but is equipped with a variety of features. 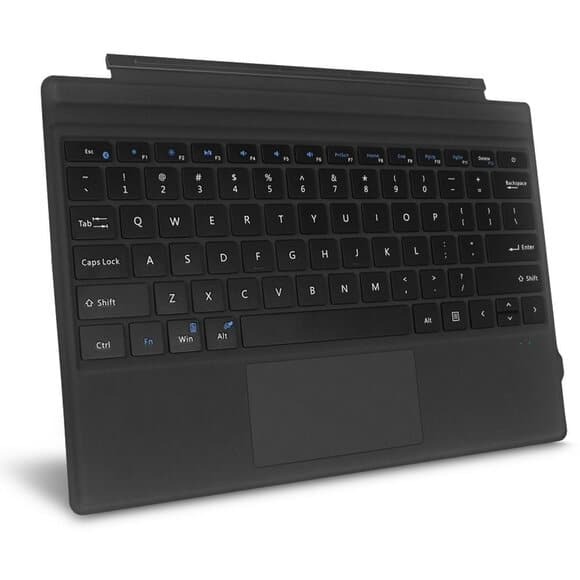 Compatible with all the Surface Pro versions, the keyboard is based on the Bluetooth wireless technology and work within a range of 33 feet. The feature of 160 degree viewing without any kickstand makes the keyboard way special. The product is lightweight, durable and consists of 3 levels of back light to meet the visibility needs. 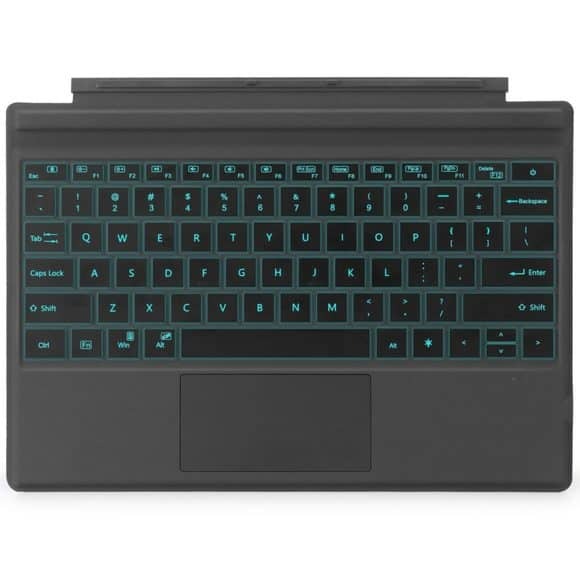 This type of keyboard is compatible with Surface Pro 3 and Surface Pro 4 with bluetooth wireless connectivity because of which it can work anywhere across the room. The product is so slim, approximately 5 mm, that it is absolutely light weight and portable, making it easier to carry on work tours. The keyboard is easily affordable and has a unique feature of magnetic type power charging. 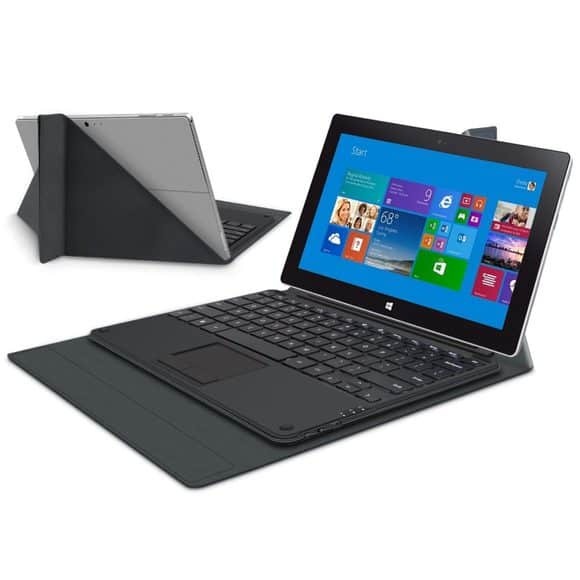 It is one of the slimmest keyboards compatible with Surface Pro 3 and Pro 4 both. Being thin and light in physical appearance, the keyboard can be carried everywhere and anywhere. It comes with an exclusive cover which can be folded like a magazine attached with a stand that helps the tablet stand while watching movies and shows. 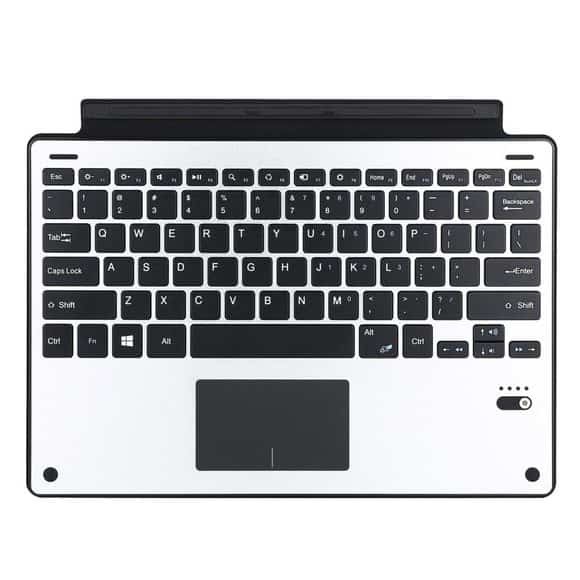 The keyboard has a three in one functionality: wireless bluetooth connectivity, mouse touchpad and a protective cover. The keyboard is based on the English and French keyboard layout with various capabilities like it is slim, thin, comfortable to use and portable to carry. The keys are spread out and the keyboard has the speed and abilities of a classic laptop style keyboard. The unique feature is that it comes in a variety of colors like red, cyan, etc. Eye catching colors and the backlit LED keys make the keyboard worth its price. 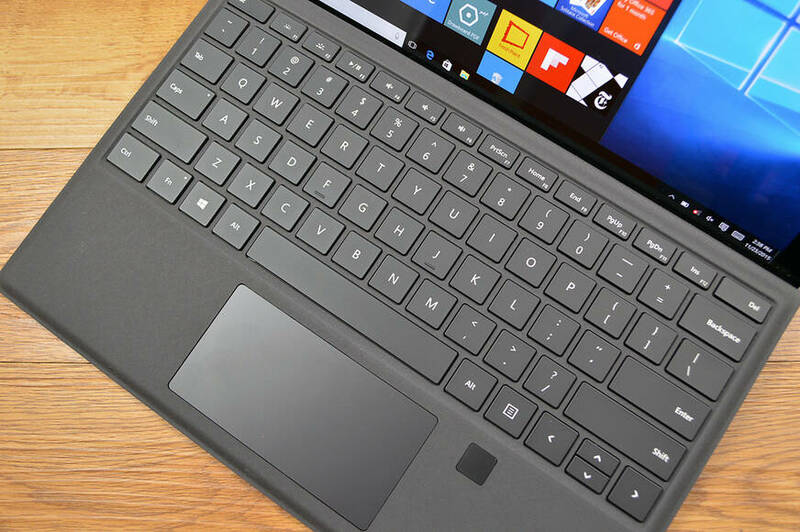 The exclusive Microsoft Surface Pro 4 Keyboard comes with spread out keys giving the feel of a laptop. 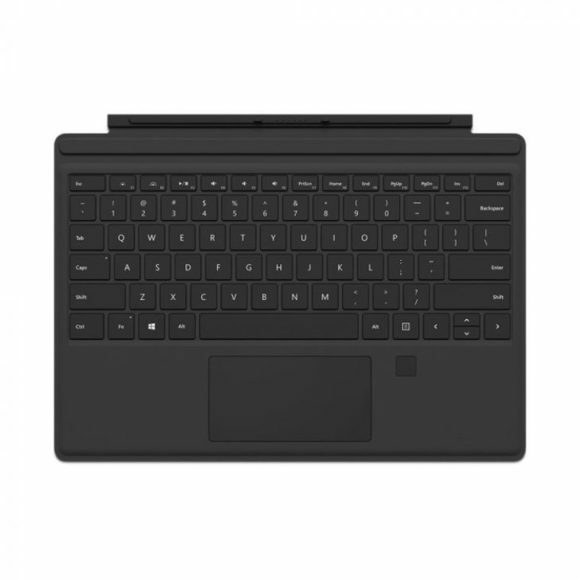 It has the Windows Hello security feature with eye scanning and finger print sensor to open the lock of the Surface Pro. A square finger print reader is in built towards the lower-right palm rest. Though the price is higher yet are the features in it. These are some of the best Surface Pro 4 keyboards that makes our typing easier and comfortable and are so portable that it feels like carrying a magazine from one place to other. If you find more of them, do mention in the comments below.